GM Boris Grachev and WFM Anna Gvanceladze were the winners at the Moscow Rapid Chess Championships 2013 that took place on 1st-2nd May at the Tigran Petrosian Chess Club in the Russian capital. Grachev arrived as the rating favorite and had an undefeated run to get 7/9 points. He edged GM Evgeny Vorobiov on tiebreaks. 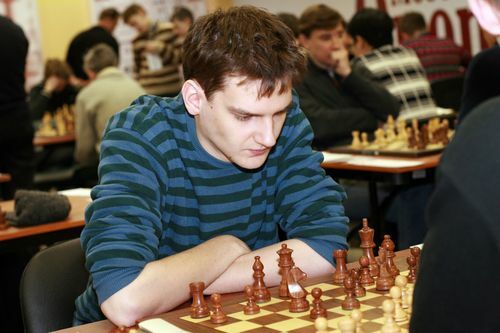 Young GM Ivan Popov arrived third with 6.5/9. The battle was more fierce in the women’s event as three players tied on 6.5/9 point. WFM Anna Gvanceladze took first place thanks to his better tiebreak score. First to fourth placed players got the right to represent Moscow at the Russian Rapid Chess Championship to be held on 20th-23rd May in St. Petersburg. The same rules were applied to the Women’s section. Full standings below. A prize fund of 50,000 rubles was distributed in the open event.